SALEM—Down by a point heading into the third period of the district finals, McNary senior Brayden Ebbs heard the voice of his father—head wrestling coach Jason Ebbs. The match went to overtime when West Albany senior Mitchell Sorte was called for locking hands, giving Ebbs a point and tying it 4-4. Brayden again thought of his father. With time running out, Ebbs put Sorte on his back to win the 160-pound title. Wresting in the district tournament on Feb. 2-3 at McKay High School, Ebbs cruised to the finals with three pins, the longest coming in two minutes and 40 seconds. He pinned McMinnville senior Noah Spencer in 54 seconds in the semifinals. Twenty-six seconds, 35 seconds and one minute and seven seconds. That’s how long it took McNary junior Enrique Vincent to pin his first three opponents at 126 pounds. Vincent then defeated Sprague junior Luke Merzenich 11-3 in the finals to win his second straight district championship. McNary senior Blake Norton (220) won the Celtics third district title, defeating Sprague junior Jacob Luna by forfeit. Norton found out before faceoff that Luna had suffered a concussion in a 6-5 win over McMinnville Juan Contreras in the semifinals. Norton’s toughest match came in the semifinals, where he defeated Sprague senior Austin Schreefer, who dropped down from 285, by a 4-3 ultimate tie-breaker. Tied 3-3 after three overtime periods, the match came down to Schreefer grabbing Norton’s head gear. Two more wrestlers punched their tickets to the state tournament, joining Ebbs, Vincent and Norton. Nick Hernandez, a junior, finished third at 138 pounds. Hernandez, seeded seventh, lost to No. 2 seed Andre Mushombe of McMinnville in the second round but bounced back with two pins to advance to the consolation semifinals. Hernandez then defeated Sprague senior Chance Bacheller 7-4 to qualify for state. Hernandez topped West Salem senior Kaleb Fegles-Jones in the third place match. Hernandez began the season at 152 but dropped down to 138 for the district tournament. “I knew how good a wrestler I was and just made it happen,” Hernandez said. 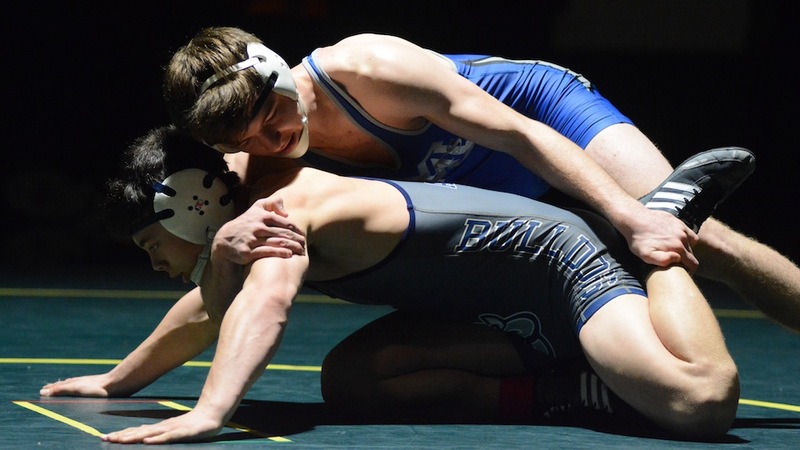 McNary freshman Grady Burrows (106) will be going to state in his first high school season. Burrows lost to Sprague senior Bollong Joklur, No. 1 seed and eventual district champion, in the semifinals. Burrows pinned Aaron Joklur of Sprague in the consolation semifinals. He was then pinned by West Salem sophomore Cedric Snider in the third-fourth place match. With 211.5 points, McNary finished third as a team behind Sprague (459.5) and West Albany (229). Noah Grunberg placed fifth at 145 pounds. Garrett Wampler took fifth at 170. Anthony Garcia Reyes finished fifth at 195. Tony Castaneda placed sixth at 106 pounds. Daniel Hernandez took sixth at 120 pounds. Jerry Martinez finished sixth at 132. The OSAA state tournament is Feb. 16-17 at Veterans Memorial Coliseum in Portland.